Educators have long recognized that many students learn better when classroom instruction is supported with real-life hands-on experiences. In the era of integration of academics and a focus on 21st century employability skills in career and technical education (CTE), these experiences are essential. A Career and Technical Education Cooperative Work Experience Program (CO-OP) provides an important link between the classroom and the workplace for students age 16 and older. It enhances and adds relevance to classroom learning. High school students often find learning on an abstract level challenging and learn more readily when they see the theory in operation and have an opportunity to practice what they are learning. The CO-OP is essentially a partnership that links school, community, and business/industry to provide a real-world environment in which students are given the opportunity to apply, and thereby enhance, the knowledge and skills obtained in the classroom. The work experience (paid or unpaid) component of CO-OP is related to the student’s CTE program of study, with the primary goal to develop career relevancy and competence. These work experiences can also motivate at-risk students to remain in school and improve their academic achievement. CO-OP helps a student develop 21st century skills, including initiative, human relations, and the attitudes and behaviors necessary for success in the workplace and community. All Career and Technical Education Cooperative Work Experience Programs (CO-OP) have the common objective of providing opportunities for students to develop and demonstrate job skills at a supervised worksite supported by training plans developed cooperatively by the employer, certified work based learning (WBL) coordinator, instructor, and student. There is ongoing communication between the job mentors and the WBL coordinator concerning students’ performance and needs. A school district or BOCES may organize its CO-OP program around a specific CTE content area or combine several cluster areas into one “diversified” program. Each CO-OP program needs to have a coordinator who holds the Coordinator of Work Based Learning Programs for Career Development extension #8982. The WBL coordinator works collaboratively with the corresponding CTE instructor to deliver the curricular components of the CO-OP program. All CO-OP programs must be registered and approved by the New York State Education Department. A program registration form is in Section VI. Initial program registration is valid for five years and must be renewed every five years thereafter. Any questions about the CO-OP registration/approval process can be directed to the New York State Education Department, Career and Technical Education Team, 89 Washington Ave., Room 315EB, Albany, NY 12234, 518-486-1547. Education Cooperative Work Experience as a program offering. NYSWCB, NYSDOL, and USDOL labor laws and regulations. technical and 21st century employability skills. • A training plan is developed and used for each participating student. not due any wages per NYSDOL regulations. 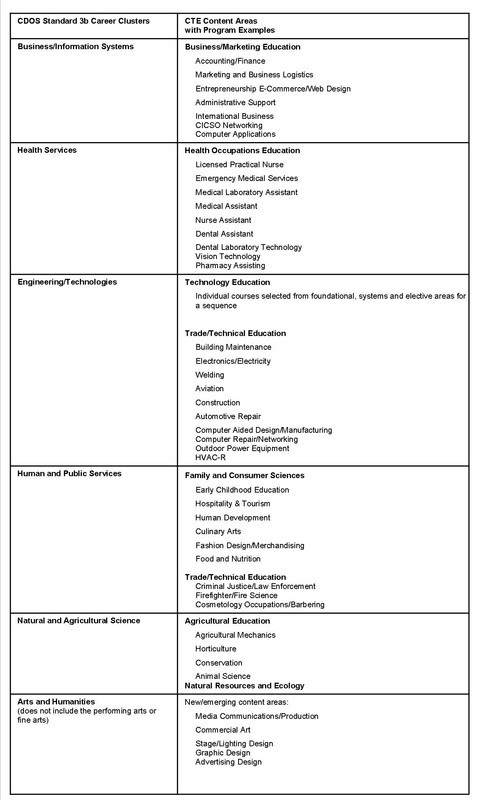 CTE programs and academic subjects. as a Coordinator of Work Based Learning Programs for Career Development. may be found at www.nysweca.org. Scheduling and transportation arrangements depend on the school and employment situation, and should serve the interests and CTE program needs of the student. Scheduling should be considered in the early planning stages of the school’s master schedule to help ensure that the academic and related career/technical subjects may be included without conflicts. The students must also have appropriate and safe transportation to participate in CO-OP. Quality programs depend on the built-in flexibility of the school and BOCES schedules. This includes the willingness of the school and employer to adjust student’s schedules, the hours when employers can utilize student services, the student’s ability to get to and from the worksite, and the availability of a qualified, certified WBL coordinator. • The student’s schedule may provide for either late arrival or early dismissal. • The experience may take place before, during, or after CTE class time. least three times per semester or placement period. and relevant professional development opportunities. The nature of certain kinds of employment or programs may make it necessary to schedule CO-OP experiences during the summer months. Students must be supervised by a certified WPL coordinator with extension #8982 during the summer months for students who are training at school-approved worksites as part of their CO-OP program.